REMO RD-0014-SS - RENAISSANCE DIPLOMAT 14"
Renaissance® drumheads are the biggest change in drumming since the development of the original WeatherKing.™ Offered in a full range of Diplomat,® Ambassador® and Emperor® weights and sizes, Renaissance®’s textured resin-impregnated surface is excellent for sticks, brushes and mallets. 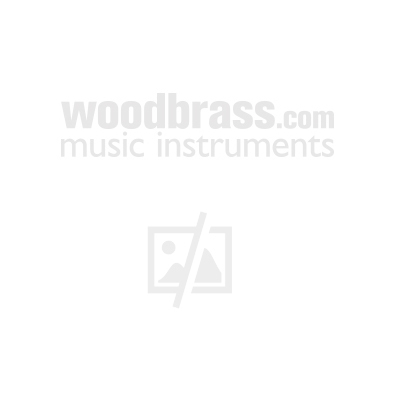 They provide a wider yet more balanced spectrum of sound for snares, tom-toms, bass, and timpani as well as many world percussion instruments. The Renaissance™ Diplomat® is slightly warmer than Clear and Suede Diplomats due to a textured surface single layer of 7.5 mil Mylar® film. They’re known for their rich warm tones, resonance, and sustain. AX-0114-00 - AMBASSADOR X COATED 14"
P4-0114-BP - POWERSTROKE IV 4 COATED 14"
PS-0114-00 - PINSTRIPE COATED 14"
RA-0014-SS - RENAISSANCE AMBASSADOR 14"
VA-0114-00 - VINTAGE AMBASSADOR COATED 14"
tomvellen drumvel voor tom tom 18"